Protect your business with the best solution for Data Backup in Baton Rouge. Data is important to your business. In fact, without your data, your ability to do basically anything is taken away from you. Imagine for a second how hard it would be to schedule appointments if you had no access to your business applications. And take a minute to think about how difficult it would be to update customers on projects if you no longer had their contact information. It’d be a challenge — if not near-impossible. This is why we’ve gone ahead and designed the best solution for Data Backup in Baton Rouge. We have the ability to fully protect your data from any cyber threat that comes its way – whether that be a flooding, fire, virus, or hacker. Partner with Immense and your data will always stay right where it belongs. With you. When data loss hits your business, one thing is certain: downtime. That is, unless you have the best solution for data backup in Baton Rouge.  Our comprehensive solution will not only fully protect your data but restore any and all lost data quickly. In the process, you can avoid downtime and keep your doors open for business. It’s more important than ever to remain industry-compliant and to keep your data backed up at all times. With our help, you can make sure your business never falls below industry standards. We’ll keep your data backed up and by doing so, keep your business data-compliant. Partner with Immense and remain protected. I just want to openly communicate what an outstanding job your team has done getting us back on line and working. Erik and Spencer particularly have bent over backwards to help us in the midst of this madness and always portray a sense of our company being their main focus…..when I know good and well there are 50 companies in the same situation needing their IT help! Spencer worked with me and Claire until after 10 pm on Friday night! Seriously, your group has gone above and beyond and I can’t say how much I appreciate all of your staff. Plan for the future with a comprehensive data backup solution designed specifically for Baton Rouge businesses. Keep your processes, business applications, and sensitive information fully intact and make sure your team is always prepared to face a data disaster. Let us build your company a custom data backup solution that complements what your company does and who your company does it for. 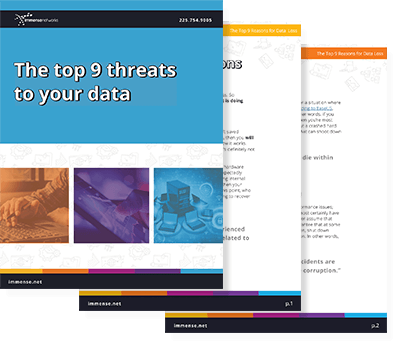 FREE INDUSTRY REPORT: Discover the top 9 reasons that businesses of all shapes and sizes experience data loss. Do you have questions about Data Backup?